Skoove is a music learning platform offering the most effective and complete way to learn piano. Skoove is the only app that combines the right way to learn with direct performance feedback and popular songs. Skoove's unique method is based on exclusive audio technology and learning analytics. Skoove grows 20% month over month and reached 14000 paying subscribers. The team has an amazing track record in music and tech (Florian was behind Traktor DJ and Stephan founded Raumfeld). 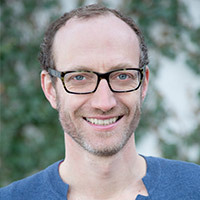 Florian is co-founder and CEO of the music learning platform Skoove. Skoove’s goal is to make music education fun, efficient and accessible to everyone. Florian has a Ph. D. in Physics. Up to 2004 Florian worked as a researcher at the Fritz Haber Institute of the Max Planck society. His research was published in world re-nowed publications like Science. Between 2004 and 2014 Florian shaped the future of DJing and music production at Berlin based Native Instruments in his roles as Director DJ Division and VP Sales and Marketing., Florian was responsible for the transition from CD/vinyl to digital in the DJ world creating the world’s leading DJ platform Traktor with millions of users. Florian played the drums for 15 years in trash metal bands and is learning to play piano today while he continues to DJ at anything from Berlin minimal techno parties to weddings of friends.